Thread by @JohnWHuber: "OIG REPORT LEAK: The DOJ/FBI almost certainly *deliberately* hid an incredibly partisan Peter Strzok text message from the IG, Congress &amp […]"
So who in the @TheJusticeDept *deliberately hid* this text message that strongly implies that STRZOK, the lead FBI counterintelligence agent on the Trump/Russia case was planning to "stop" @realDonaldTrump from becoming President? * How was this message found? * How does STRZOK explain his plan to "stop" @realDonaldTrump from becoming President? * Who is "we"? The FBI? The Crossfire team? 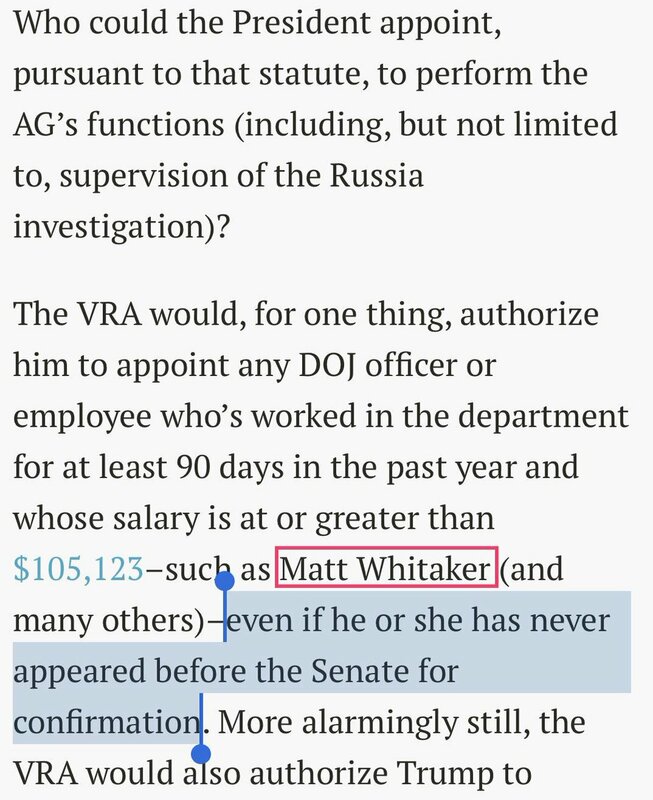 * Who in DOJ hid this explosive text & why? N.B.2: As pointed out here, a week after "we'll stop it" STRZOK says "we can't take [the] risk" of TRUMP being elected. This is the "insurance policy" text, which was bad before, but far more damning in this context: STRZOK wanted to cash in the policy! N.B.3: Here is the second text* that @JusticeOIG recovered forensically. N.B.4: The @JusticeOIG "explanation" for why STRZOK's August 8 "we'll stop [Trump]" message wasn't turned over by FBI is that it wasn't preserved due to a technical error. "The AG and DHS Secretary have determined [that] authority should be exercised to render ineligible for a grant of asylum any alien who is subject to a proclamation suspending or restricting entry along the southern border with Mexico but who nonetheless enters the US..."
💥More Disinfo! - SO, Don't focus on "executive summary / conclusions" in IG Rpt cuz those were written post facto by admins in FBI/DOJ leadership. Focus on substance of documented FACTS within Rpt & you'll see specific FACTS don't support "summary/conclusion"
Who exactly wrote the executive summary and conclusions if not Horowitz and his team? Horowitz will be in front of congress next week. They can ask him who wrote the summary.... Rosenstein? yet IG also said those political views from FBI Deputy Assistant Director Peter Strzok and special counsel Lisa Page expressed in text "messages cast a cloud over the FBI investigations to which these employees were assigned." 3/ The IG is very specific about that though -- saying no evidence anything impacted the decisions through July 2016, when announcement made to not prosecute Hillary Clinton. Congress making referrals is great, but remember: the Sessions/Horowitz/Huber plan is to unveil the evidence to the Congress, *the public* and *the media* before the indictments are unsealed. Remember, Andy McCabe hasn't had his indictment unsealed yet. They wanted to wait until the OIG report dropped to do that. And they are still waiting because they plan to unseal many of these indictments all together at once. 2) OIG report on FISC Court warrant on Carter Page.